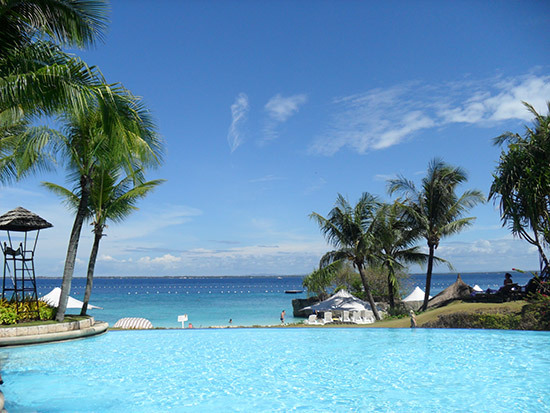 Location: Shangri-La's Mactan Resort & Spa, Punta Engaño Rd, Cebu City 6015, Philippines. We've had reports about pinball from many countries but this is the first from the Philippines. 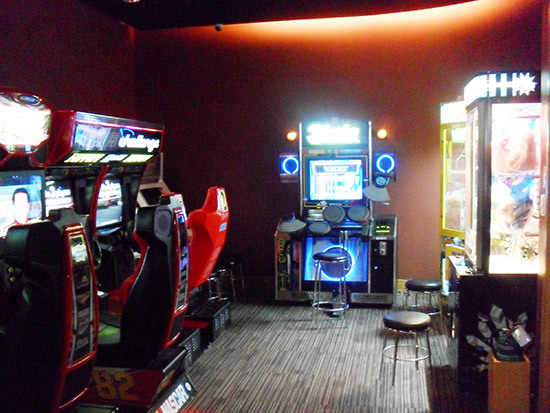 But then with sights like these, why would you want to be inside playing pinball? 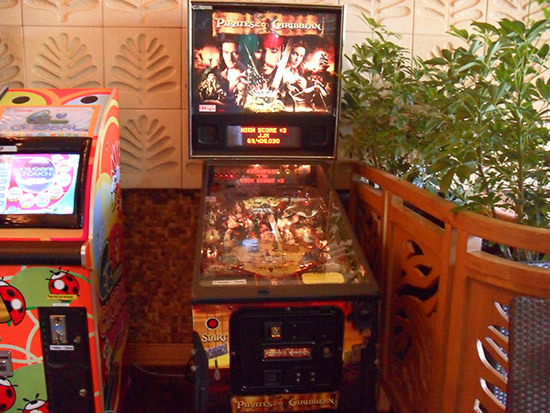 Nevertheless, our roving reporter John found plenty of games - including pinball - in this resort and spa. 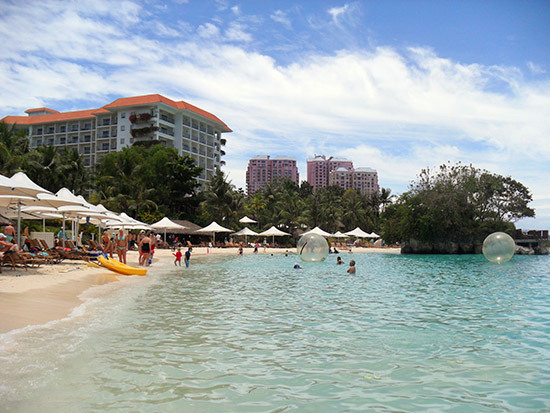 Cebu is one of the most beautiful islands in the world. You can find good hotels, beaches and food there. 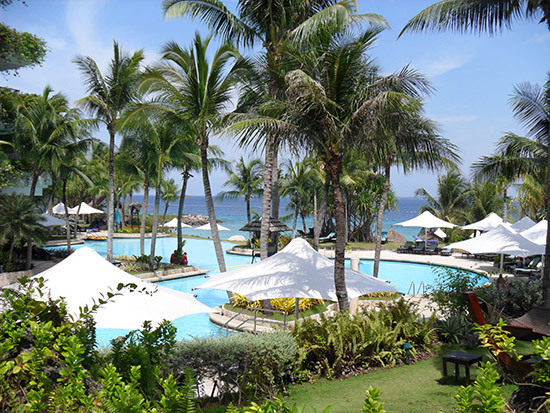 In April 2011, my wife and I went to Cebu and stayed at the Shangri-La's Mactan Resort and Spa for 4 days. The hotel was excellent as it had a good swimming pool and a beautiful private beach. 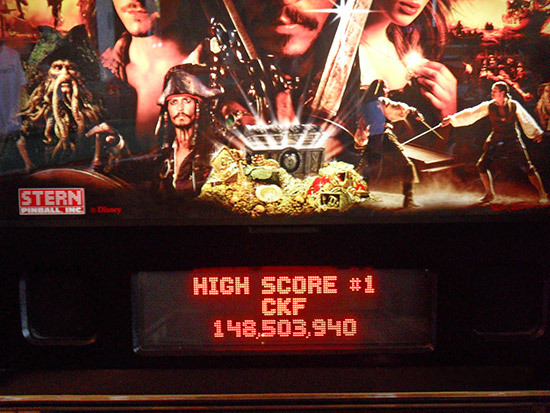 Surprisingly, I found a Pirates of The Caribbean pinball in the hotel's 'E Zone' game centre. The working condition of the pinball machine was acceptable. 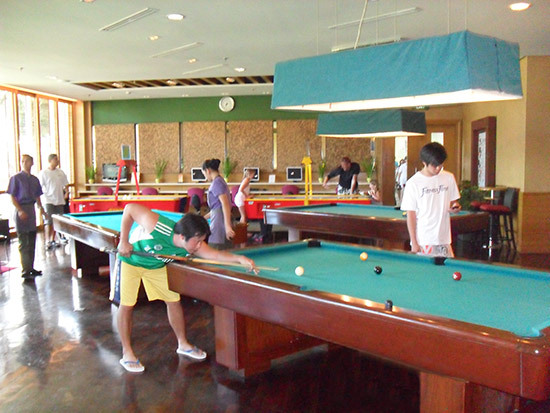 It became one of my major activities during my stay at this hotel. 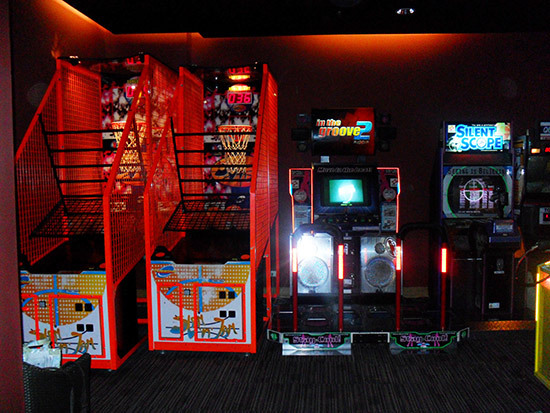 Apart from pinball, there was also snooker, video games and sports games to play. 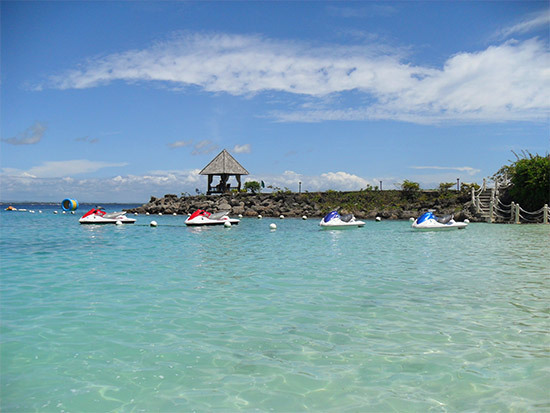 In fact there were many activities there, in addition to eating, swimming, water sports and sunbathing. 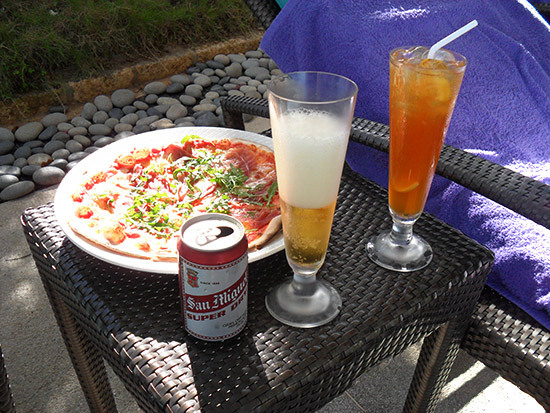 The most enjoyable activities were swimming in the pool as well as having drinks and good food at the pool side.